Cancer Health Horoscope 2019: Avoid Mental Stress And Just Focus On Your Health! Ganesha says that you will have to stay very alert about your health from the beginning of this year. Your busy schedule and excessive workload will obviously have a negative effect on your health during this year. Avoid mental stress as far as possible. You may have to frequently travel long distances for professional purposes during this year. This will also affect your health and you will feel lazy due to fatigue according to your Cancer 2019 health prediction. Effects of jetlag will also be experienced this year Keep some provision for going on a small vacation in between your schedule to relax or refresh yourself. You will be able to perform better if you are relaxed and focus on your work suggests your Cancer health horoscope 2019. All work and no play makes Jack a dull boy it is said, so if you continuously work you might end up getting sick and become a victim of serious ailments. Due to the continuous levels of stress, you might resort to binge eating, which can contribute to the increase in weight and obesity. No one wants to be with an obese person, so it is very important for you to maintain your health and fitness as per Cancer horoscope 2019. 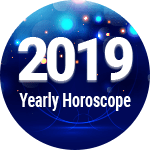 In accordance to your Cancer 2019 health horoscope, you might face many health problems this year. You might also have to face mental stress or disturbances. Work or office stress might bring in a lot of anxiety in you. You need to stay calm and focus on your work. Don’t focus too much on problems at home or office, else it might lead to more stress-related sickness. You might also feel stressed out due to many business travels. You must take care of your health in order to stay relaxed. Eat well, exercise and avoid junk or oily food. Fever or a headache is likely between July to September, says your Cancer fitness horoscope 2019. Hence, don’t ignore any health issues during this period as it may cause a long-term illness. Stay away from junk food and oily food to remain healthy throughout the year. There is also a possibility of suffering from stomach related problems during the rainy season this year, which may also cause other ailments. You should regularly have your meals, always exercise and do yoga, and as far as possible balance your work and rest hours, alerts your Cancer health horoscope 2019.Take adequate amounts of rest because this is very important for height patients. No matter how hectic your schedule might be, do not neglect your health as per the 2019 Cancer health horoscope. Don’t eat unhealthy oily food which could decrease your lifespan make time for exercise as well. All this is required to maintain a healthy heart and save you from strokes. 1. Eating a lot of unhealthy outside food can create a bad impact on your health. 2. Drink a lot of water and stay hydrated says the Cancer health horoscope 2019. 1. The period from April and December months are favorable for your growth and well-being. Eat well and maintain a balanced life with work as well as play. 2. You need to have recreational activities in your life to keep you fit. Don’t only focus on work. Make time for everything advises your Cancer health horoscope 2019. Cancer Health And Fitness Horoscope 2019 Overall rating: 4.1 out of 55 based on 647 reviews.